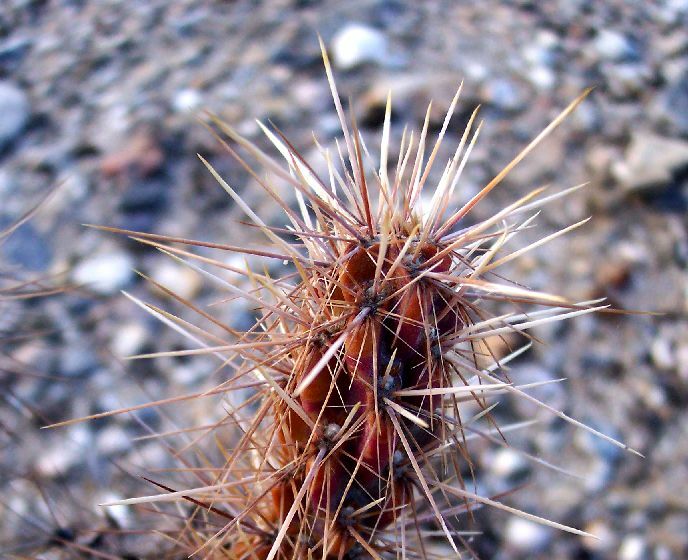 In 1937, Frank Gander collected a cholla from extreme northeast San Diego County that has been the source of much interest and debate. His voucher consists of only a single stem segment and one flower, mounted upside down, so confidence in its determination is not absolute. 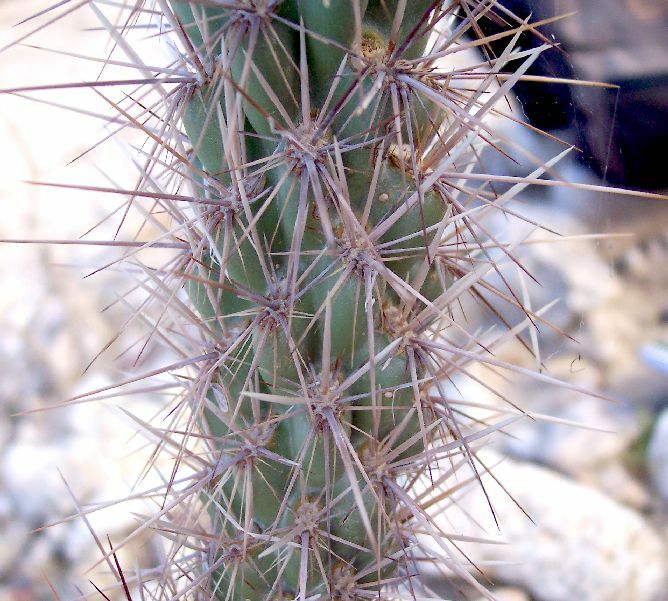 His voucher was probably originally determined simply as Opuntia acanthocarpa, since varieties ganderi and coloradensis were not defined until 1938 and 1969, respectively. 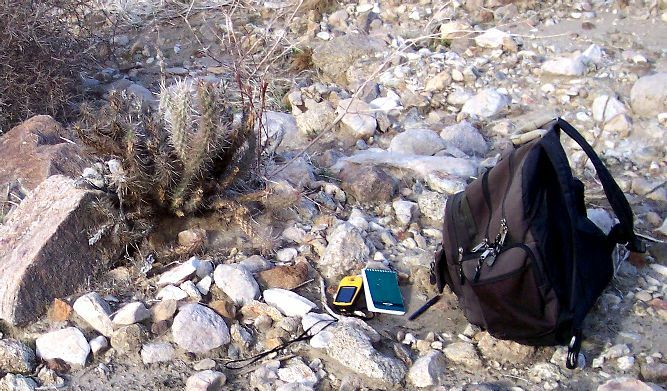 The latest determination of his voucher is Opuntia acanthocarpa var. coloradensis (henceforth O.a.c. ), from the reddish filaments of the flower and the characteristics of that single stem segment. If both the determination and locality are correct, this would be an isolated population disjunct by 70 miles. 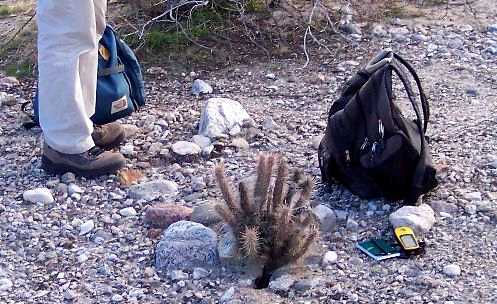 See Opuntia acanthocarpa var. coloradensis for a distribution map for that taxon, and a discussion about the likelihood of finding that taxon in extreme northeast San Diego County. Because of uncertainty in the determination of this voucher, Jon Rebman has long been encouraging people to look for the plants that were vouchered by Gander. Bill Sullivan has searched three times for this taxon in 2005-2006 without success, finding only infrequent specimens of O. ganderi. 90% of the plants had multiple (~10) stems from base, which is typical of O. ganderi. The only specimens that had few stems from base were young. O.a.c. is typically tree-like at base. All the longer branches were nearly vertical and parallel to each other, unlike the branches O.a.c. which are at significant angles to each other. The plants were short, typically ~2 feet in height. O.a.c. is 4-6(9) feet in height. These plants are even shorter than typical O. ganderi. We suspect these are not-entirely-happy O. ganderi, perhaps because this is the extreme eastern limit of its range in the Borrego Springs area. The joints were very stout, typically 3.5-3.7 cm in diameter. O.a.c. has joints 1-1.25 inches (= 2.5-3.2 cm) in diameter, with O. ganderi having fatter joints. 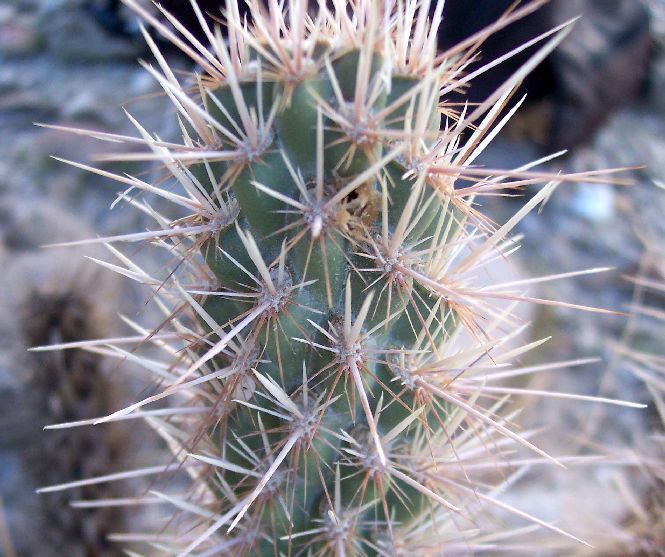 There are 18-19 spines per areole, fitting the 15-25 of O. ganderi, not the 10-15 of O.a.c.. The source for most of the characteristics reported above for each of these two taxa is Benson (1969). The following pictures show the characteristics of the first three specimens we encountered. 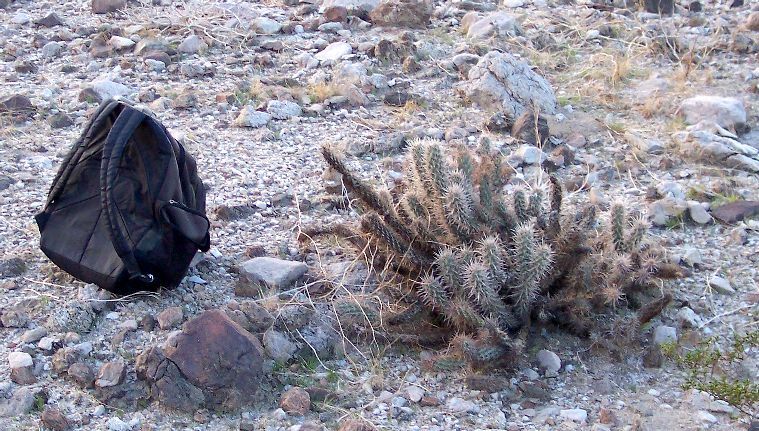 Compare the plants in these pictures to specimens of O.a.c. from near the Colorado River. We thank Jon Rebman for information about the Gander voucher, and for stimulating the search for Gander's plants in the field.